Time to Celebrate - Rewarding Times and WineOnline.ie have come together yet again to bring you a case of 6 Gold Medal Winning Prosecco from Veneto in Northern Italy along with 6 thin stemmed Sommelier flutes to serve them in for only €99 including free delivery.WineOnline.ie have been importing this premium range of Sommelier glassware since 2005 from Rona Glassware in Slovakia and the quality is often compared to famed glassware brand Riedel. The second WineOnline.ie Charity Wine Fair will take place in Dublin on Thursday November 24th 2016 and tickets will be priced at €20 each. There will be over 70 wines on display and you will get two tickets as part of your purchase with the Celebration Case. The location will be in Dublin and your tickets will give you full access to all wines on the evening. It's a long way away yet, but it'll be a nice evening to look forward to and your tickets will be emailed to you three weeks beforehand. Donini Prosecco was recommended by Decanter Magazine as the choice prosecco for Christmas day in an article published ahead of Christmas last year. 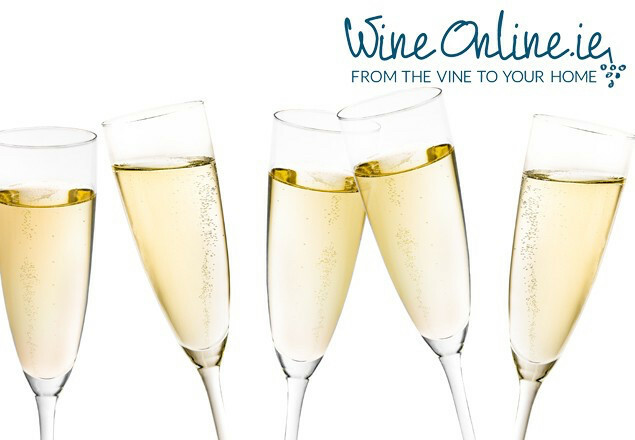 WineOnline.ie received an allocation of 100 cases of Donini Prosecco. Donini is different to other Proseccos for many reasons - The soil that the Glera grapes are grown in are primarily Limestone and clay, and the climate is a little warmer than other Prosecco producing areas. The result is a Prosecco that is richer and drier than in other areas and this one is full of flavour. It is made in the Frizzante style and it is buttery, with pear, melon and apple flavours. It is crisp, dry and refreshing, which is the style that our market enjoys in Ireland. It is housed in a screw cap closure for maximum freshness, meaning there is not a spago cork style closure on this bottle. Donini Prosecco is priced at €14.90 RRP and a set of 6 Thin Stemmed Sommelier Flutes is €5.80 RRP per flute. WineOnline.ie have never released these flutes before in Ireland and they are thinner than previous versions. Normally priced at €172.00 (including delivery), we are offering this case, complete with two tickets for just €99.00 with FREE DELIVERY, a saving of €73.00 or 43%, exclusively through Rewarding Times. Share with friends, send as a gift (We will add a complimentary gift card for you) or re-fill the wine rack for winter celebrations ahead. This is a one-off, unrepeatable offer. Donini Prosecco is not a stock item and is available only through Rewarding Times. The remainder of stock will be made available only through the WineOnline.ie wine club for signed up members. Rona Glassware, while available as a stock item atWineOnline.ie is also exclusive to WineOnline.ie and not available elsewhere in Ireland. WineOnline.ie offers a satisfaction guarantee. We understand glassware is personal. If you are not 100% happy with your glassware, get a credit note and get it replaced for glass or wine. Delivery is completely free of Charge & collection is available in Dublin 9, details below. Add a 'Classic Celebration' to your basket and go to checkout. After you enter your billing address and shipping address you will be prompted for a discount code. Enter your voucher code here and the price of your order will be reduced to €0.00, leaving you to submit your order at no cost. Alternatively, contact us by phone on +35318867740 Monday – Friday 9am-5pm where we will be happy to process your order over the phone. You need to process your order online or by telephone in order for your 'Classic Celebration' to be delivered. Vouchers are valid until 20/10/2016.